Why trying to closely emulate successful people isn't always a recipe for success. Most people - myself included - are interested in the stories behind successful people. How did they get to where they are today? What did they do? What are the elements of their success? I know I certainly do this every time I hear about a new, breakthrough musical artist for example. It's especially interesting to hear these people - artists, entrepreneurs, actors, athletes - talk about their own success, and what they think contributed most. When it comes to popular electronic artists, I sometimes find myself searching feverishly for interviews or videos where I can learn about their production setup. I have to know what plugins and samples they use! So, suffice it to say I completely understand why we have a tendency to want to learn about successful people, across all fields, in the hopes that we can use some of the elements of their success in our own lives and careers. But it dawned on me recently that this is not always productive, and can sometimes hamper our own progress. You've probably heard this statement before; it cautions us against jumping to conclusions and seeing patterns where none exist. I can think of no better example to illustrate this than a recent article on Fortune.com about Warren Buffet's diet. The article describes how Buffett (84 years old) drinks five 12-ounce servings of Coca-Cola daily, along with frequent indulgences in other junk food. 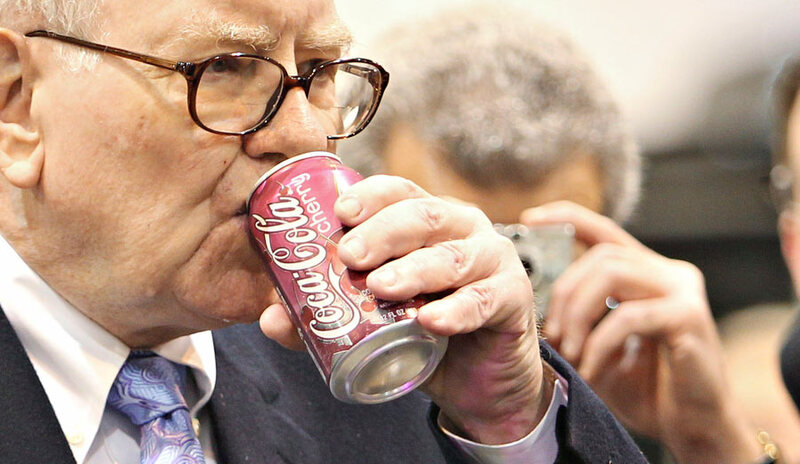 I think most readers would not assume that Buffett is healthy because he drinks five cans of Coke a day. Given what we know about nutrition, we would probably conclude that there are other factors contributing to his health and mitigating the ill effects of all that sugar. However, not everything is so obvious. It's extremely tempting to hear a rockstar tech startup CEO talk about his bizarre sleep patterns, and wonder if maybe sleeping 4 hours a night is actually a good idea after all. Or to read that a hit music producer swears by a particular plugin, and to go buy that plugin immediately. You can most likely find at least two very successful people in any field who have very different and perhaps even mutually-exclusive habits and philosophies. What are we to make of that? Hopefully, you're familiar enough with their field to parse fact from opinion, and understand the merits of each perspective. Unfortunately, students, hobbyists, and other beginners don't yet have that pespective. OK, so all that makes sense. Drinking five Cokes a day isn't the cause of longevity. If a blockbuster film composer uses one piece of software instead of another, we know that the software isn't why they're a blockbuster film composer. Still, if that composer describes exactly what steps they took to land their first major job, that is probably more helpful, right? Well... not necessarily. It may indeed be profoundly un-helpful. To put it simply, something that works or produces results in one context might not produce results in another. The more you understand the logic behind that advice, approach, or method, the better you can predict whether it's universal, situational, or somewhere in between. For example, I mix and master all my music on headphones. This is a rather unorthodox method of producing music, and one to which the majority of professionals would probably (vehemently) object. Nonetheless, it works for me, produces good results, and I've become completely accustomed to it. With that said, I would never give a blanket recommendation for everybody to use headphones. I started working this way due to having no access to properly-treated environments (think college dorms and thin-walled apartments) and limited funds to invest in pro-grade monitors. Not everyone has those same circumstances, so my approach doesn't make sense for everyone. 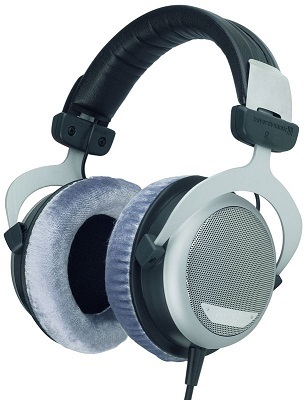 Beyerdynamic DT880s: The best investment in gear I could have made. Likewise, a successful entrepreneur who owns and operates several restaurants might have some valuable experiences to share about running a business. But their experience is in the context of physical, brick & mortar stores with physical inventory, and their advice could be useless to someone trying to start an eCommerce store selling digital goods. I'm not saying that we shouldn't listen to the advice of experts, professionals, and successful people, or that we can't gain useful insight from their habits. I'm simply saying that we shouldn't look at their advice and experiences in a vacuum, with no context. This also applies to people giving advice to beginners, myself included. I love FL Studio and can't wrap my head around Cubase, but that doesn't mean I should steer people away from Cubase. I know that it's an extremely powerful piece of software and that lots of prolific, successful composers use it, and I can't not recommend it just because it doesn't work for me. If you read a piece of advice on productivity, you try it, and it doesn't work for you, that's OK. You might need to discover your own way of working, or maybe combine several different methods. Or, if you use some software that you love, but that others say is "unprofessional", don't let that discourage you. If you get good results, keep using it! At the end of the day, achieving success in any field (particularly music) takes much more than the right advice. If you want to be a great guitarist, you need to practice - that's good advice. But you need the motivation and drive to improve, and a thirst for knowledge. It also takes a bit of luck: a retweet from a celebrity with a million followers, a mention from a top YouTuber, or a chance encounter with the right person at the right time. ... Of course, everything I've just written is nothing more than my own opinion: take it with a grain of salt, and let me know what you think in the comments below. Now, I'm going to put my headphones back on, sit on an exercise ball, and make some music using FL Studio.